Bath & Body Works candles, scents and fragrance list. 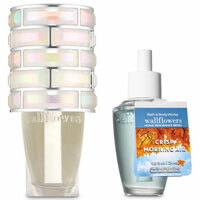 Combine with any Wallflowers Fragrance Plug to scent any room with noticeable freshness 24/7 for 6-8 weeks. The easiest way to scent your home. Size: 0.8 oz. The simplest way to scent any room in your home. 400 hours of amazing scent in each little bottle. Perfect to use at home, the office, or hotel room. Size: 1.5 oz. Fragrance on the go! 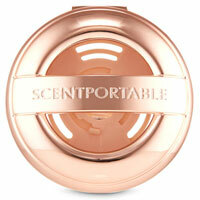 The built-in clip base allows Scentportable to hang, sit or rest on virtually any surface. Offers continuous fragrance for 4 to 6 weeks. Size: 0.2 oz. 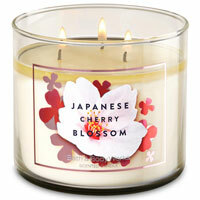 Bath & Body Works home fragrances: Manufacturer of scented candles, diffuser reeds, scented oils, home fragrance products. 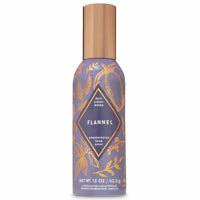 See also the fragrances section for Bath & Body Works Perfumes, and bath & body for Bath & Body Works body collection.